A lifetime of advocacy and effecting change and a desire to shape a generation of future business leaders around a vision of sustainability led Tensie Whelan to propose the establishment of the NYU Stern Center for Sustainable Business (CSB). 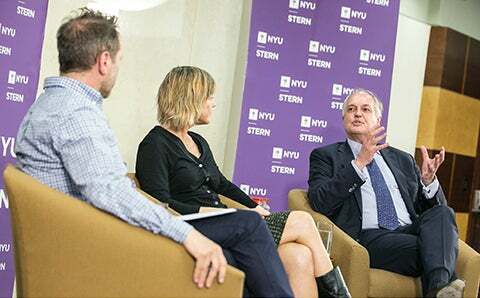 Whelan, former head of the Rainforest Alliance, was inspired enough to begin planning for such a center after her time at NYU Stern in 2014 as a Citi Foundation Fellow. By early last year she had secured a commitment from Citi Foundation for $1 million to launch the Center. The CSB’s mission is to lead current and future business leaders to develop the knowledge, skills, and experience needed to address environmental and social challenges, so that their business can reduce risk; create competitive advantage; develop innovative services, products, and processes; and build value for society while protecting the planet. 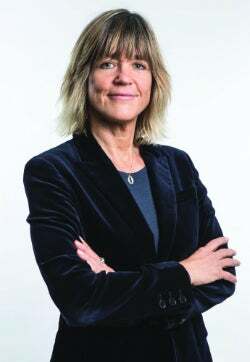 Along with the CSB’s associate director, Sophie Waskow Rifkin, who has a decade of experience implementing sustainability programs, Whelan has developed a series of white papers, as well as corporate case studies and research, plus established a CSB Advisory Board and a team of CSB Advisors. She started a resource library of videos including interviews with CEOs and co-hosted a Future Jobs Fair with Vice Media and Collectively. Whelan has also raised foundation funds to support investing in green infrastructure. Her TED-style talk, “Ten Minutes to Save the World,” was an inspiring presentation at Stern’s Social Innovation Symposium, and she is Faculty Advisor for the MBA Social Enterprise Association and has been helping support the undergraduate Net Impact group. Whelan has also recruited research scholars to work with the CSB on research related to sustainability finance, supply chain, marketing, financing mechanisms, and the business case for sustainability. They include Elyse Douglas, a board member at Assurant who was the former CFO at Hertz; Randi Kronthal-Sacco, formerly CMO at Rodan + Fields; and Tom Manning, principal at Harbor Road, a consultancy focused on strategies and investment to create healthy communities; and Rodrigo Zeidan, associate editor of the Journal of Sustainable Finance and Investment and a NYU Shanghai professor. HBR recently published her paper “The Comprehensive Business Case for Sustainability.” Plans for a new concentration in sustainable business for undergraduates are also on the CSB’s agenda, and Whelan has held two courses on Sustainability and Leadership for executives. Whelan, a born organizer and leader as the eldest in her family, relishes the opportunity to help shape the way that future generations will understand their company’s role in what she describes as the stakeholder ecosystem, in which businesses exist in a symbiotic relationship with multiple constituencies – governments, employees, suppliers, customers, the community, society, and the environment – and act accordingly. Successfully leading executives to make those connections, she says, means more evidence is needed to show that sustainability produces a greater return on investment. “Embedding sustainability core to business strategy is driving innovation, risk reduction and financial performance for companies” she says, pointing to Nike whose sustainable Flyknit brand is now a $1 billion business and Unilever, whose brands with purpose are outperforming their conventional brands. Outside the classroom, as a way to elevate the concept of sustainability in business, the CSB has hosted a number of events bringing in practitioners to share their experiences with sustainable business practices (see below). Whelan has also reached out to government, NGOs, and the private sector to place students in related internships – students are working in such diverse efforts as managing storm water runoff in New York City, developing sustainable accounting standards, inspecting cocoa supply chains in West Africa, and advising on triple bottom line investing. John D. Williams, President and CEO, Domtar Corp. Learn more about the Center for Sustainability and view upcoming events.